Planning for later life is becoming more complicated. We are here to help and advise you. 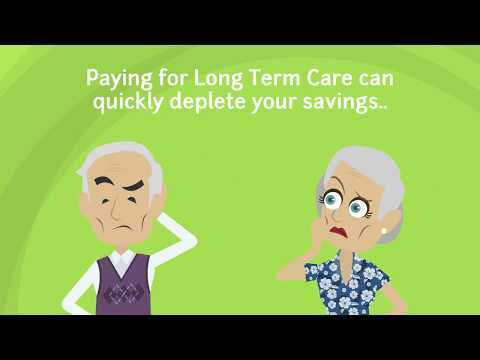 Paying for Long Term Care can quickly deplete your savings. On average, a single room in a residential care home with nursing costs £43,940* per year in the UK. Understanding your potential costs and what the Government contribute is sensible financial planning. Whether you are undertaking your own financial planning, or an attorney acting on behalf of someone else, we can provide specialist Estate Planning & Long Term Care Funding advice. With so many options, planning for later life is becoming more complicated. The Government regularly moves the goal posts, change tax legislation, and introduce new laws. Product providers, enter and leave the market. They also introduce new schemes, but are they HMRC compliant? Keeping abreast of these changes is challenging. The decisions you make about Estate Planning and Long Term Care Funding are life changing. We hold the specialist qualification required to provide advice on Long Term Care Funding. So whether you are thinking about purchasing an Immediate Care Needs Annuity, investing to generate income or simply running down capital, we can discuss all the options with you. Let us explain all of your options and provide you with clear, impartial advice. Complete the enquiry form below to book your free consultation. When you have an idea of the type of care needed and its cost, you should then consider how this could be funded. First of all you need to establish what funding support is available to you from the local authority. This is determined by a full needs and financial assessment. The Care Act 2014 is the main legislation that governs the support that local authorities must provide to those who need care in England. Due to the length and complexity of the legislation it is probably best to start off with Age UK and their great factsheet on How to get care and support. With so many different benefits available it can be difficult to understand what you are entitled to claim. This helpful benefits calculator will give you a good indication. You shouldn’t worry if you don’t want to use the online calculator, or can’t work out if you are claiming all the correct benefits. We will check this for you as part of our advice. Also known as a Care Fees Payment Plan, this is a type of annuity contract. It is bought from an insurance company using a cash lump sum who then provide a guaranteed income for life. They are designed to cover the shortfall between your income and the cost of care. The cost is based on a number of factors including: the income amount you are buying, your age, your health, and life expectancy. An Immediate Care Needs Annuity maybe suitable if you are receiving care at home, about to move into, or are already living in a care home . If you want the peace of mind of knowing a regular income will be paid for life a care plan is probably worth consideration. If you have the capital available to invest, or are about to realise cash from the sale of a property, you will be in a position to purchase an Annuity. An Immediate Care Needs Annuity is probably NOT suitable if you think you will only need to fund care temporarily. It is unlikely to meet your needs if your want your money back in the future. Immediate Care Needs Annuities carry risks. You can’t change your mind. If you no longer require care you won’t be able to cancel the plan. 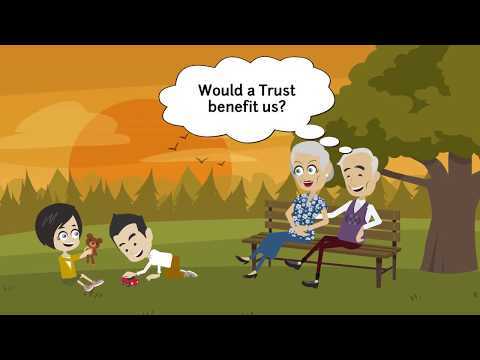 In addition the tax status of your plan could change if the annuity is paid directly to you (rather than the care home or provider). If you own your property outright then equity release is a way to access capital without selling your home. There are two main types, Lifetime Mortgage and Home Reversion Plan. You may want to consider this option to fund care in your own home. We can recommend a specialist equity release adviser to discuss the options so you get the best advice. You could use your savings to pay for care costs. This option doesn’t provide you with the same financial security as an Immediate Care Needs Annuity. This is because your savings could run out before you die. Therefore, consideration should be given as to how long you may need to pay for care. However, by using your savings, you will retain access to some of your capital. This maybe desirable if your care needs change. Or if you die and want to pass money onto your loved ones. Investing a cash lump sum to help fund care costs is another option to you. Rather than your savings earning little or no interest, you could generate an investment return. The return can be used help fund care costs and will therefore make your capital last longer. However, with any investment you run the risk that you could lose money. This is most likely to happen if your investments perform poorly. A recent example would be the 2008 stock market crash. Like with using your savings, the money could run out. You will probably want to take expert advice if you are considering an investment. We can discuss investment options with you, so you fully understand the risks. Your circumstances will probably determine if an investment is feasible. Take a look at our Savings & Investments page for more information. If you would like to discuss your options or arrange a quote please complete the enquiry form below.